Join an ancient order of knights when you add this Cross shield accessory to your knight costume. 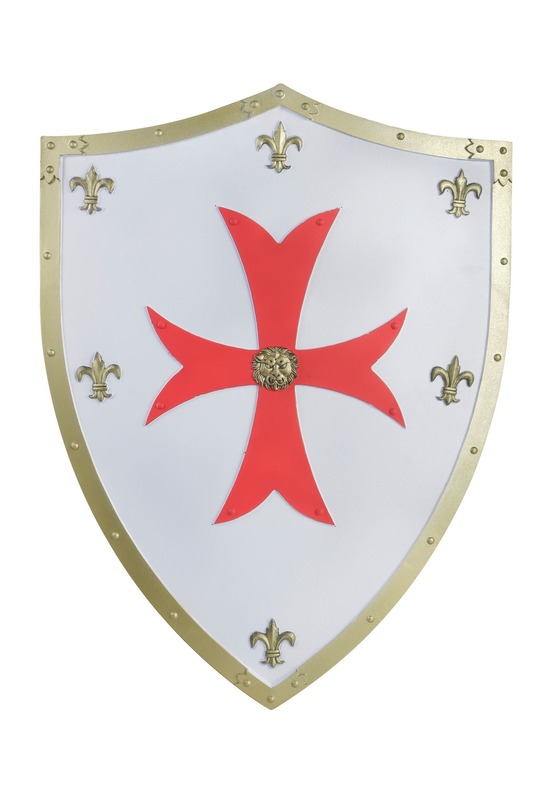 With this critical piece of equipment, you'll be ready to sign up for a crusade, or to help your fellow knights defend your castle and keep. If you're really lucky, you might even get to join up with the Templars, and then you can get into all kinds of interesting adventures like hiding religious artifacts and purportedly even sailing to the new world! No matter what kind of adventure you envision, first you're going to have to start with the right equipment, and this shield is the perfect choice for an authentic look.